I’m just back from London Fashion Week where you might have seen that I was shooting a collaboration with Tipperary Crystal Accessories. 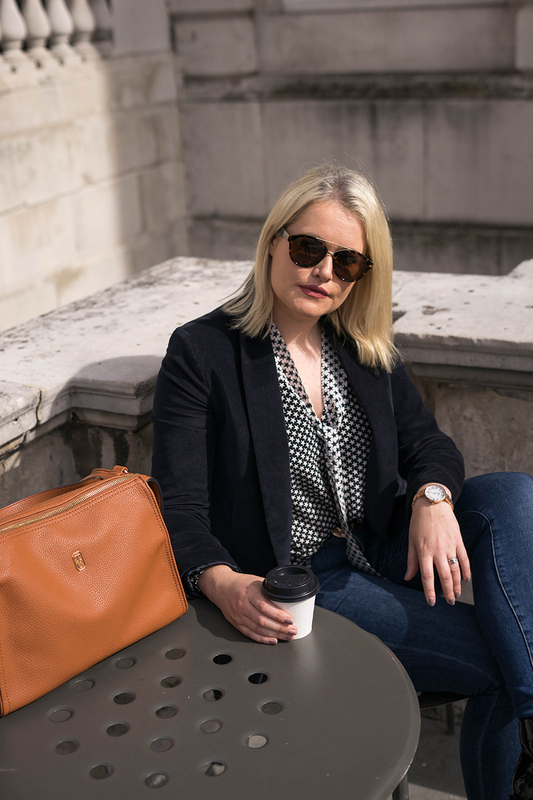 I am a such a fan of dressing up every day outfits with jewellery, bags and sunglasses to transform even the most basic things in my wardrobe. 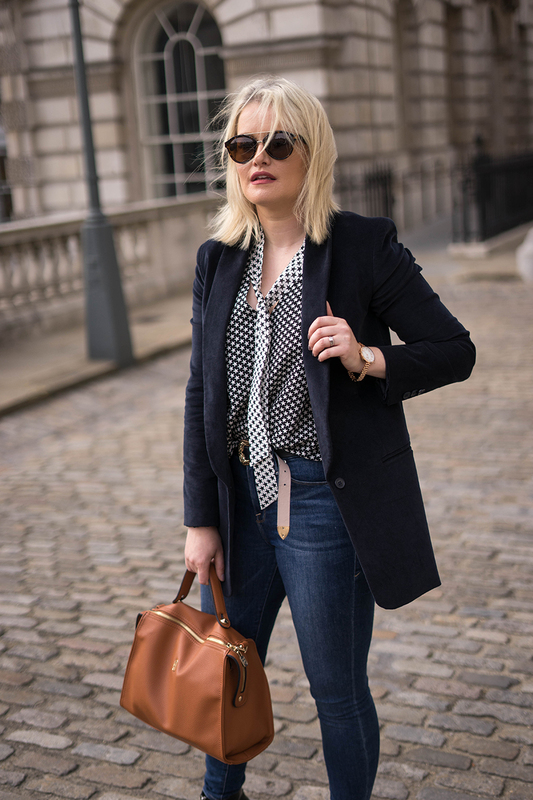 With my stylist hat on, I think investing in some key pieces to wear with your Autumn Winter finery is a good way to start building your new season style. One of the reasons I love going to fashion week is that it gives me a chance to try new things and new ways of changing or testing my personal style. And for this trip, it was about showcasing my edit of the latest collection from Tipperary Crystal Accessories. As you will see on the website, there are so many great pieces to choose from; but let me help you find the pieces that will work for your style. One key feature across the Luminosity collection is coloured stones. 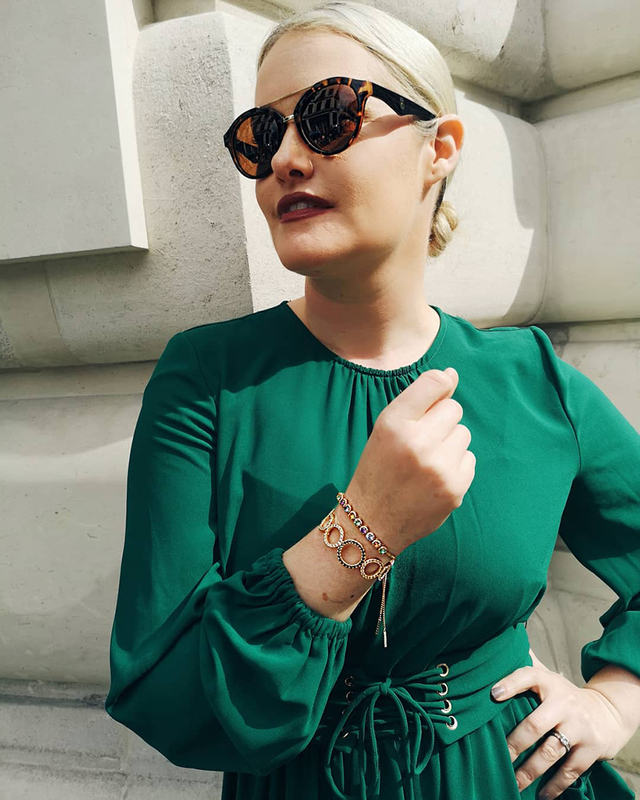 When we choose jewellery we tend to stick to plain metals but for this season you can add some colour through your accessories if you prefer to wear darker shades come colder days. In this collection, I chose the Pastel Grape Earrings and matching bangle against a navy dress. When you think about it, they are all derivatives of blue, so technically all the shades are balanced. I love this kind of styling and I apply it to my clothes as much as my accessories. If you prefer more statement shades and stones, the Autumn Circles Bangle is a beautiful piece. The balance of colour caught my eye and it sits well against brighter shades of green or even black for more formal occasions. 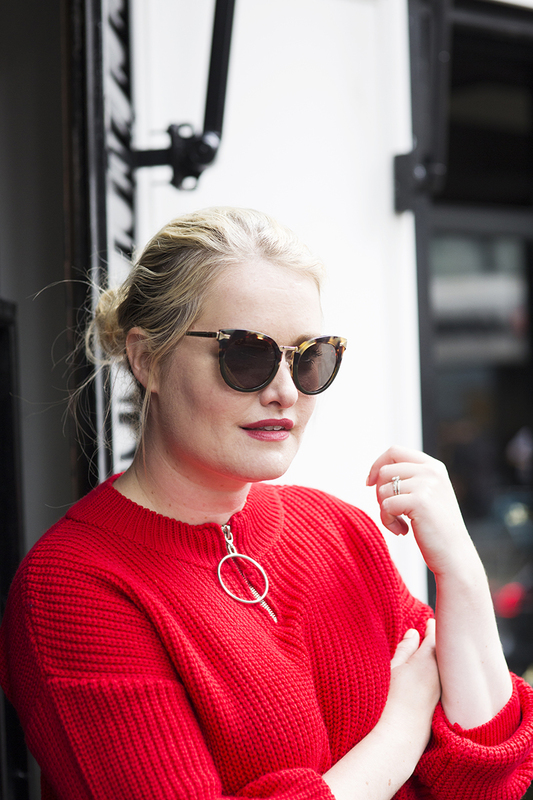 The sun was shining in London all week which allowed the jewellery to shine bright. For more simple, classic pieces, the Pearl collection is personal favourite. I love longer style chains that can be layered with other pieces or worn on their own. 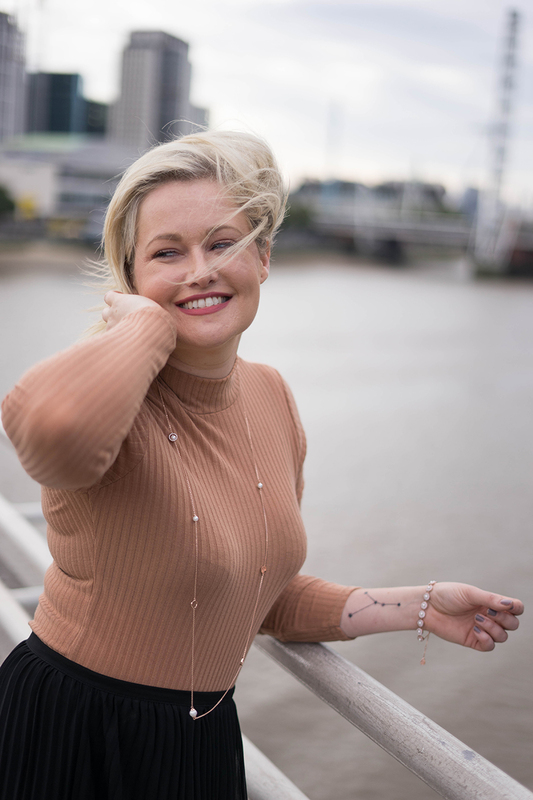 Rose Gold always works against my skin tone, and with a neutral coloured top (with the London sky line in the background) I can create an elegant look for daytime. 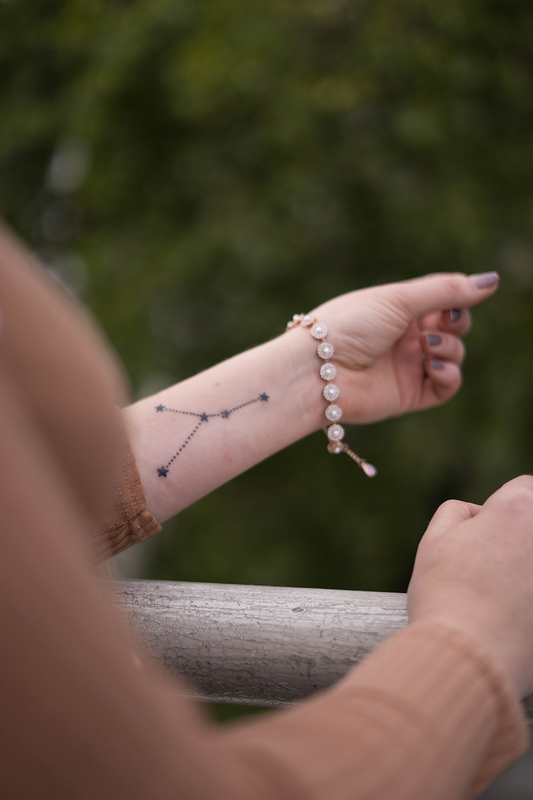 There are lots of matching pieces in this range, but bracelets will always be my personal choice. You can also stack lots of these alongside a bangle for an on trend look (even wear with your watch). Speaking of watches, I cannot be without one with a busy schedule like I have in London. The Apollo Rose Gold watch is such a sophisticated piece and I think it matches my weekend style perfectly. Each piece in the collection is beautifully crafted and has plenty of links for you to re size it to fit your wrist. I like my watches a little loose to make them more like a bangle. These Rose Gold pieces look nicely aligned with the Tote Bag I carried everywhere and based on the messages I got last week it was a hit with you too! This bag fits everything and also comes with a longer strap to wear on your shoulder. I cannot tell you how much I packed into this bag for travelling as well as long days running from show to show. I love tan for Autumn but it also comes in black and grey. Then all I had to do to finish my outfit was add a fashionista must have, sunglasses! Each of the pieces above are available on the Tipperary Crystal website and at stockists throughout the country. You can also now pop into the new store located in T2 at Dublin Airport for some last minute gifts. This post is sponsored by Tipperary Crystal. That bag was the divil to track down. But I did it!